Yesterday afternoon/evening we had some more freezing drizzle and then some flurries. We ended up with a layer of ice and a very light dusting of snow. 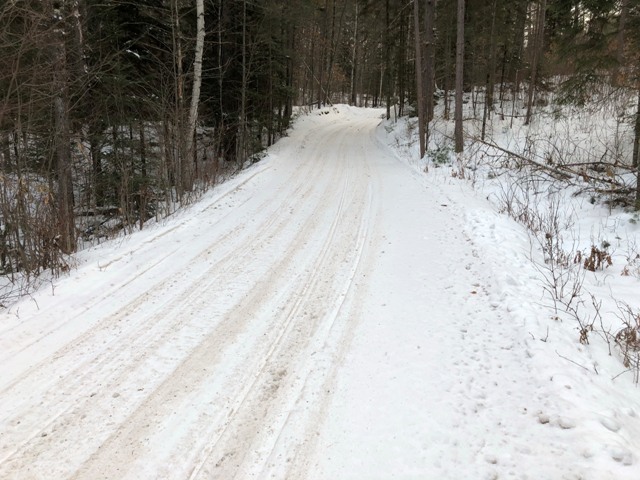 Headed out for a ride hitting some St. Germain, Eagle River, Sayner and Lake Tomahawk trails. 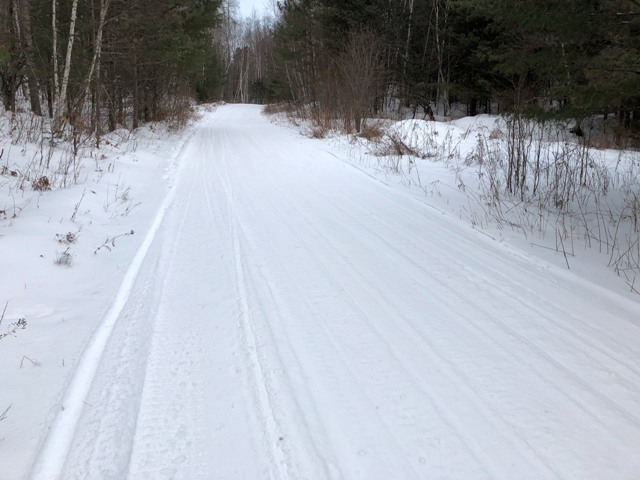 The Eagle River, St. Germain and Lake Tomahawk trails I rode had been groomed last night. 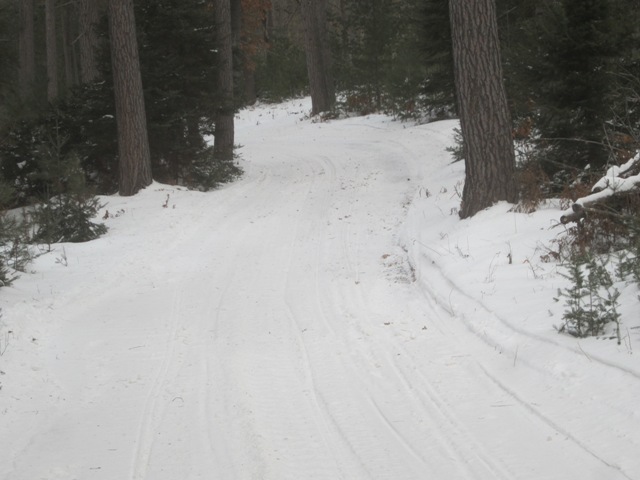 Sayner had groomed some of their trails but not others. 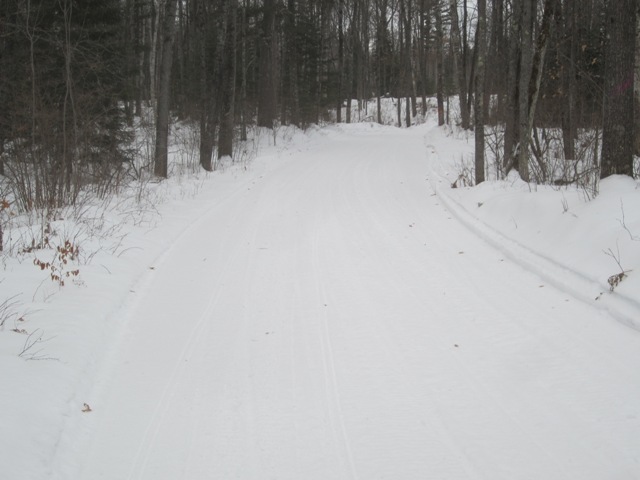 The groomed ones were smooth and packed in tight with temps in the single digits this morning. 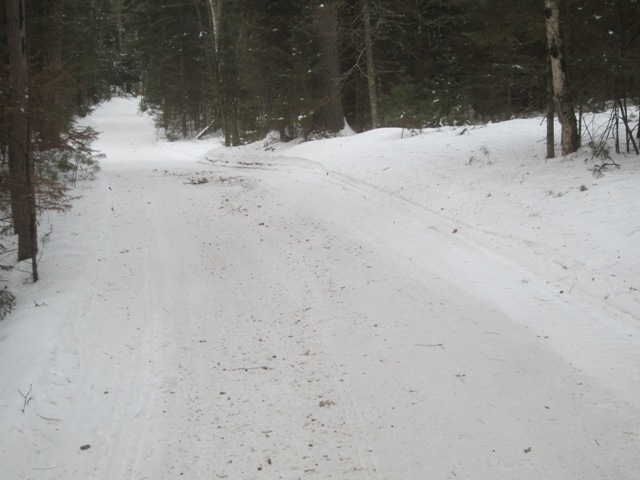 The ungroomed ones were getting bumpy and more corners were pushed out. I’m going with an overall rating of fair/good although you’ll see everything from poor up to excellent. 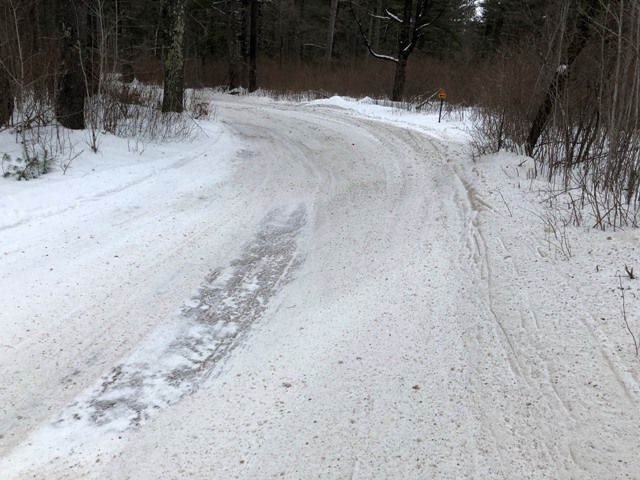 Between a couple days with freezing drizzle and some grooming, trails have shown some improvement after the heavy weekend traffic beat them up. 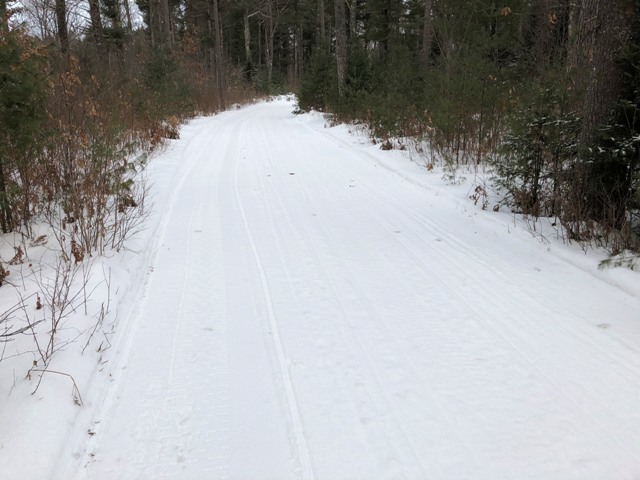 It really is amazing what a groomer can do to a trail, even with limited snow to work with. A big thumbs up to all the groomer drivers. There is a lot of good stuff out there but you’ll see spots where the base got wore through and some bare ground is showing. Most of these are found on the insides of some corners. The carbides were scraping here and there. Some stretches were really nice, all white and really fun to ride. Others are getting brown with snirt mixed in. One area to be careful on is the corners. There are lots of icy ones out there. Even with sharp carbides it’s hard to hold the inside on some of them. 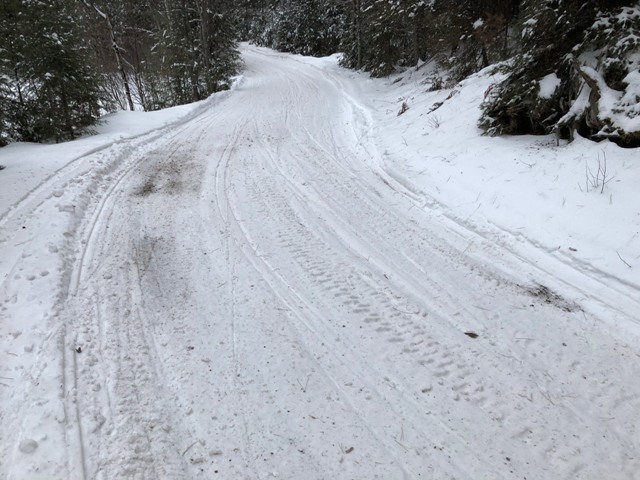 Most plowed road trails are very icy with very little snow and some bare pavement in spots. We had a lot of wind lately so some lakes are very bumpy from drifting.